Today more than ever there is a great need to strengthen our parishes as they serve as a vital source of support to the communities. The heartbeat of our Church can be found in our parishes. The parish is the single most important unit of the Church. It is in the parish that people and families become part of a worshipping and serving community. The parish is where they find faith and are encouraged to live their faith. A gift to your parish can be made as a restricted gift to be used for a specific purpose, or as an unrestricted gift to be used for the greatest need. “It is more blessed to give than to receive"
If you would like to register for electronic contributions please download and fill out the form below. It can be returned to the parish office by email, regular mail, or in person. Please contact our business manager Lizanne Vernacchio at 215-672-2881 with any further questions. 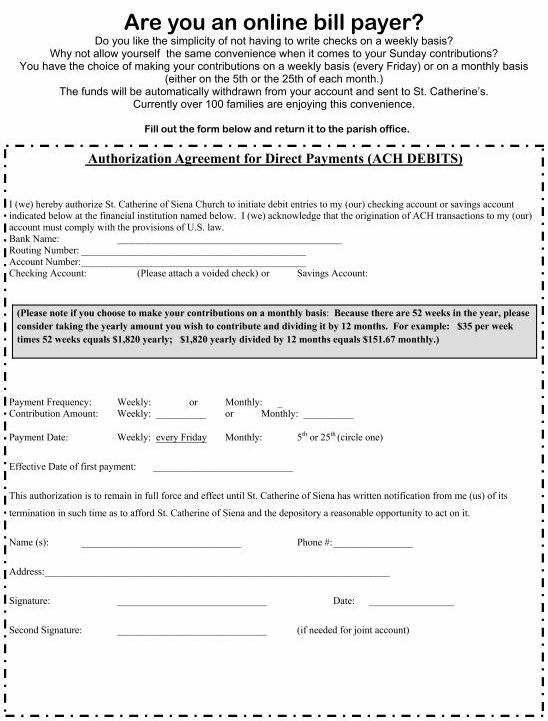 Please stop in Parish office to purchase mass cards. Any donation amount can be made. This fund is for Parish Improvements. At this time we are concentrating on the Farmhouse.